Double the pleasure, double the zodiac fun! They’re like a box of chocolates. You never know what yer gonna git. Gemini children are fascinating to behold. Their wonderment at the world in which we live is sometimes exhausting to keep up with but it’s always a moving experience to watch their little eyes light up when they’ve discovered something new. And their mission in life is always be boldly going where – yup, you guessed it – no Gemini has gone before. And we use the term ‘their’ in the literal sense because inside your Gemini baby lives dual souls. Good thing two heads are better than one, huh? Gemini parents will never have to worry about the milestone of talking. These little spirits adore communication! The Gemini child will diligently gather all kinds of odd information and tell you about it — not only to show off a bit, but also because this is how he or she builds relationships. Throughout your time as a parent you’ll find your Gemini child has a great wit, strong intelligence and rich imagination. The problem is that, being of two minds, they flip back and forth between ideas, decisions, etc. sometimes within minutes and honestly expect you to keep up. The challenge for you is knowing to which of your two proverbial twins you’re talking. One of the more profound personality traits of Gemini’s is that they have the capacity to see the world through both Yin and Yang perspectives. While this grants them a unique outlook, when one twin or the other goes into full gear it gives new meaning to non-sequitor. Adaptability proves to be a Gemini’s parents’ best friend. This also holds true in terms of your children’s interests. They will often have several projects going at once, some of which will linger for a long time before completion. Follow through is not a Gemini’s forte. Oh, by the way mom and dad – be prepared for a very eclectic gaggle of friends for your Gemini. They need diversity to keep from getting bored. With all their charm and communication skills it’s easy for them to collect comrades akin to how another might collect coins. The social scene at your house will never be dull. The difficulty here is that your child is not a natural born leader — some of those friends will feel left out as your Gemini goes hither and yon from one to another. In this, it can be helpful to teach them the concept of quality time and active listening. One of the most charming characteristics of a Gemini child is that they will never actually loose that youthful exuberance and playfulness! For parents this means even at the age of 20 you’ll still get glimpses of that curious toddler getting into everything. This is a beautiful gift because when we lose the child within life can become, well, less sparkly. And nobody wants that! Having a Gemini girl is like living in a constant treasure hunt game. Her curiosity drives everything! She’ll be the one who climbs out of the cradle using her teddy bear as a cohort. This star sign’s inquisitiveness doesn’t end with exploring, however. Be ready for question after question about anything that grabs their wandering eye. Sometimes finding answers may feel frustrating, but thanks to the Internet you can use search functions for even the most elusive of queries. We mention this because she will ask questions that will make you wonder “where did that come from and how could she possibly have ever heard of that“. It’s very important to fulfill this element of the Gemini’s personality. It is one of the ways they keep The Twins engaged, focused and happy. As soon as your gal is old enough introduce her to science, nature Exploratoriums, books rich with imagery and stories that twist and turn. One hobby or form of play simply cannot satisfy both sides of their character. 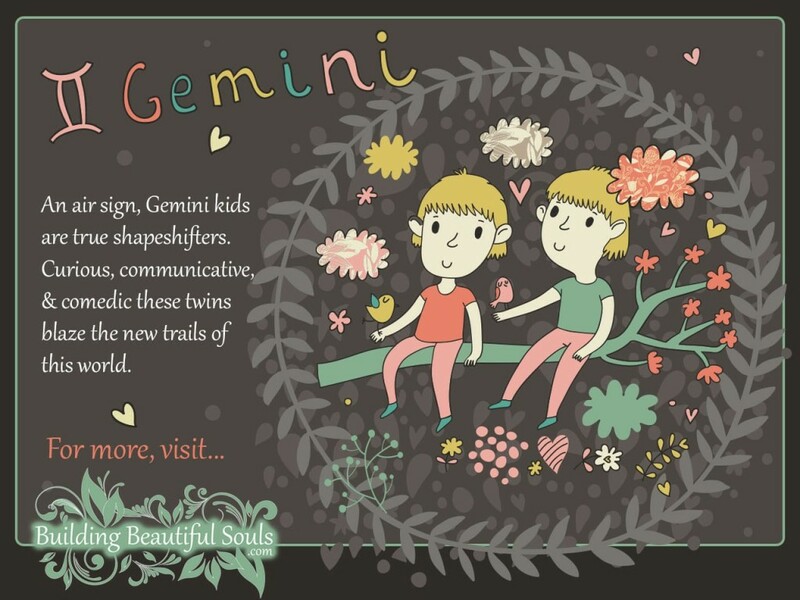 In the grand scheme of Astrology, your Gemini daughter acts as an information magnet. Her mind and soul are intimately connected. Feed one, you feed the whole being! Nonetheless, that alone won’t shake off the Gemini changeability. The world is their playhouse and they want to try everything at least once (twice if they LIKE it). No two days will be alike with your child. Use observation to discern what captured their imagination at any given moment and run with it. The intensity of Gemini children often leads them toward being storytellers or acting in school plays. They love center stage and have a knack with presenting themselves in a wide variety of roles. Your daughter is a silver tongued twin who can unwittingly convince others of nearly anything (sometimes to the point of manipulation). The hard part for her will be enduring “quiet” time. Without learning this discipline, however, the adult Gemini tends to become self-absorbed. Another struggle for your daughter will be her fine mind. She may become impatient with peers who cannot see both the global picture and the minutia of any given situation. This leads classmates to think of her as haughty, not to mention a fair share of hurt feelings. Be there to sooth the ache with a hug and sound advice. If you ever wanted twins, congratulations because you basically have two children in one body. The two sides of your Gemini boy can seem so completely divergent as to make you crazy. One day one side agrees to something, the next day the other side adamantly declines (and both have sound reasoning!). The Gemini boy is smart as a whip with a wit to match. He is ruled by his highly active mind which needs on-going input. It is never too early to start reading with these children. You may not think they’re getting anything from the children’s book at bedtime, but part of their mind retains a lot. Some adults report even remembering stories read to them before they could speak and theoretically understand language. Don’t be surprised if your twin shows signs of being an excellent orator or writer from the moment they can communicate onward. A challenge for the parents of male Gemini children is their propensity for jokes and gags. The love coming up with little tricks or twists of a phrase. Before you know it, you’re knee deep in the trap and they’re laughing like crazy. This is good intentioned chicanery but it can catch you and others quite unaware. By the time they reach teen years you’ll see your Gemini boy multi-tasking, which is not really a male trait. It really is perfectly conceivable for them to handle two or more completely different things at the same time. They may read a book AND watch a movie, for example (and remember the details of both). This is the point at which your Gemini boy will also probably get hit with a strong bit of wanderlust. He knows there’s a lot to life beyond the back yard and he was sent to Earth to find it! Anything you can do as a family to fulfill his thirst for knowledge and adventure goes a long way toward a successful adulthood. Gemini is one of the deepest thinkers.yet also the smartest. They are very witty. Garmin you just can’t fool. Be good to a Gemini and they are your friend for life. Do wrong to a Gemini and you will wish you have done right. You will miss a Gemini and what they are. You have double traits in all they do. Including everything. Thank you for taking the time to comment about the Gemini star sign! And, thank you for visiting BuildingBeautifulSouls.com! I struggle with an overactive mind and indecisiveness. OMG! I CHEERED when I read your post! You GO, girl! I’m so, SO happy that you see the Gemini Twin personality as one of adventure because so many folks ‘admonish’ Gemini’s for not being able to make a decision. Certainly there are times in life when Gemini’s would better served if they could make a solid plan and stick to it. However, Gemini’s get to live many different lives and paths all in one incarnation! And THAT is awesome! Very interesting reading our 2 yr old Gemini grand daughter has turned into an adorable sweet anglel into the ‘devil child’ tantrums and sulks galore. We are bewildered and confused I was wonder as a last resort if this change in behaviour down to her astrological sign. We need help understanding what has happened to her. Though there certainly could be an incident which caused your granddaughter to radically pivot. However, Geminis and Pisces are very well known for this type of behavior. It can be very scary, frustrating, and confusing for the adults in their lives but, to them, it’s perfectly natural. Also, it could be extremely helpful to have a full astrology chart reading for her that includes the family dynamic – how each family member’s zodiac sign interacts with each other. I can recommend astrologer Sara Gilbert. 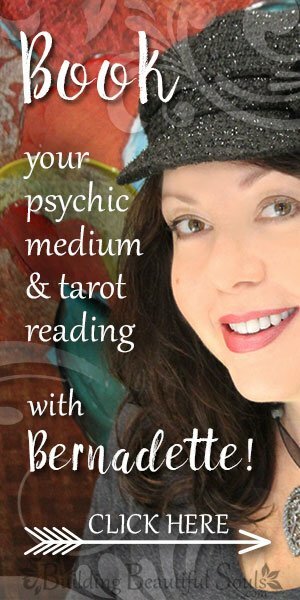 She’s my personal astrologer and incredible at what she does. Well that’s me born on June 5 .yeah I usually can’t decide on one. One hour am happy the other moody yeah I can be playful and the other hour quiet and usually hurt easily .Well wat u have written is all me.